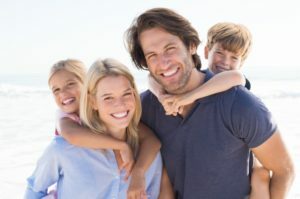 Since you’ll be taking your entire family for care, it’s even more important that your new dentist possess the right disposition to work with patients of all ages. The professional should also be patient and willing to answer any questions. One of the benefits of living in the Information Era is having access to online reviews. It’s a good idea to pay attention to what other patients have to say about their experience with the dentist. If there are several positive reviews, it can be a reassuring indicator that you’re making the right decision. To ensure the dentist can provide the comprehensive care your family needs, take a moment to find out where he or she received training. It should be from reputable institutions. Before taking your little ones in for an official visit, you can stop in to get a feel for the atmosphere. Does it seem inviting? Are the staff members friendly? If you feel comfortable, then there’s a greater chance that everyone else will, too. Visiting your family dentist shouldn’t become a new stressor in your life. Therefore, before committing to working with any professional, make sure the office is conveniently located. It’s also a good idea to verify the hours of operation. Thus, you can make sure they will coincide with your current responsibilities. Working with a qualified family dentist is vital to maintaining excellent oral health. One of the main benefits is having access to preventive care, which involves visiting every six months for cleanings and check-ups. By following this schedule, you’ll help to prevent any issues like tooth decay and gum disease. You’ll also be instilling a positive habit into your children’s psyche that will benefit them well into adulthood. Additionally, by finding a dentist you can trust your family’s care to, you’ll save money by preventing costly dental procedures in the future, and no one will have to endure any unnecessary suffering. The path to oral health excellence starts today by reaching out to a local dentist to schedule a consultation! At Geller Dentistry, oral health is truly a family affair, as Dr. Benjamin Geller and Dr. Gloria Garcia-Geller work together to provide the absolute best in dental care to families. The dynamic couple combine their years of experience and expert training to ensure every family is able to enjoy beautiful and healthy teeth and gums. For more information, you can contact them through their website.